Earlier this week, I received some sample milk pitchers from the folks at Cutomize Coffee Tools (@customizecoffeetools on instagram). One of the pitchers I was most excited about since it was custom made with my logo etched on it. I have been slowly working on getting some digital and physical branding done for my blog and YouTube channel and so I started off with the logo then the YouTube channel banner and now this pitcher. I’m also working on a video animation intro for the videos but anyways back to the pitchers. As soon as I came back from work I ripped the package open and was greeted with 3 boxes, one for each pitcher. Packaging was generally good, enough to keep the pitcher protected but nothing fancy. The pitchers themselves though are just something else! They are beautifully coated and polished and the custom pitcher has the logo beautifully and accurately etched. Once I moved past the aesthetics, I checked the spout and found it to be exactly what I was looking and hoping for. A narrow and more protruding spout is featured on all 3 pitchers. Having been using generic, $8.99 pitchers from amazon, the spout design was a nice addition to my arsenal. Another feature I love about the pitchers is the handle. The handle design is simply more ergonomic and much more comfortable than the average pitcher. This however may be a less important feature if you pour one or two lattes per day but if you do more, you will appreciate the handle design and comfort. Excited, for the last few days, I simply been making lattes and pouring some of my best latte art as of yet! These are some examples of latte art I poured with the Barista Space Titanium/Rainbow pitcher and my The Coffee Field custom pitcher. To be perfectly clear and honest, if you are not currently pouring latte art and think that the pitcher is what you need to finally pour a Rosetta, then don’t bother with these pitchers yet. 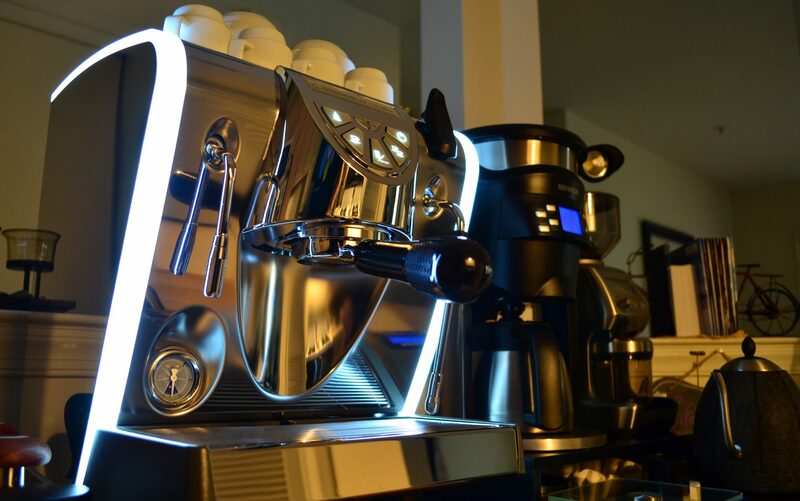 Focus on more important factors such as milk quality, steaming techniques and steam wand position, etc. The pitchers are awesome is that they will take your already good latte art to the next level. I feel that the pitchers will make you better at pouring latte art and they will unlock more patterns or at least make them easier to pour more beautifully. For full disclosure: I have received these pitchers for heavily discounted prices in exchange for my feedback.